Home » Reviews » Thank you for being a friend. The relationship between them is what made the series fly. The most interesting was the barbs but respect between Dorothy, bitter from divorce for a long marriage she had invested in, and the happily married Blanche who, suffice to say, had enjoyed life a bit. Blanche’s determination to carry that on annoyed Dorothy who was really quite jealous. To make matters even worse for Dorothy an “accidental” fire at her Mothers nursing home resulted in it being burnt to the ground. She has no choice but to move her mother in the home that the three girls share. The result being that her scheming, opiniated, critical, but ultimately very loving Mother is there in a weird re run of her teenager years, except now she’s in her 60’s. Finally, there is Rose another widow she is the middle ground. There are suggestions that she’s been around a bit, but she also finds herself coming out of a long marriage that she thought would go on a bit longer but for the untimely death of her husband. Rose is very happy with her friends and imparts what she thinks is wisdom with her tales of her youth and life in St Olaf Minnesota, where she certainly challenged her Norwegian roots. 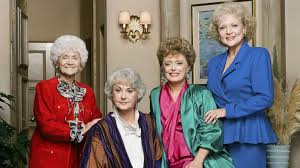 The Golden Girls is a wonderful tale of women seen as being almost rejected by society. No longer young and beautiful, not wives anymore. 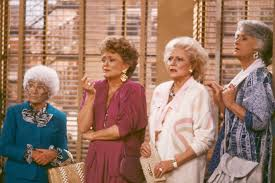 The programme showed that life was certainly not over for these feisty, intelligent and resourceful women who were going to make damn sure they lived and enjoyed this later stage of their lives. The show also set a template for some of the greatest era of American sit coms as its witty snappy dialogue was an influence on Friends and Frasier and Everyone Loves Raymond that followed. Next post: How To Count Fetal Movements?